On behalf of Curtin University, Porter Consulting Engineers undertook a Road Safety Audit for an existing section of Brand Drive and Jackson Avenue at Curtin University’s Bentley campus to assess the proposed route for a driverless (autonomous) bus now named ‘Kip’. One of the main audit recommendations was that the bus operate under a trial/test scenario and that publicity, advice and route signage be implemented to explain the bus and the actions required by other road users on campus. We are pleased to hear that Curtin’s autonomous bus commenced operation at the end of March and will travel on the pre-determined route from building 304 to 408 for approximately 4 hours per day, 4 days per week with an onboard chaperone. 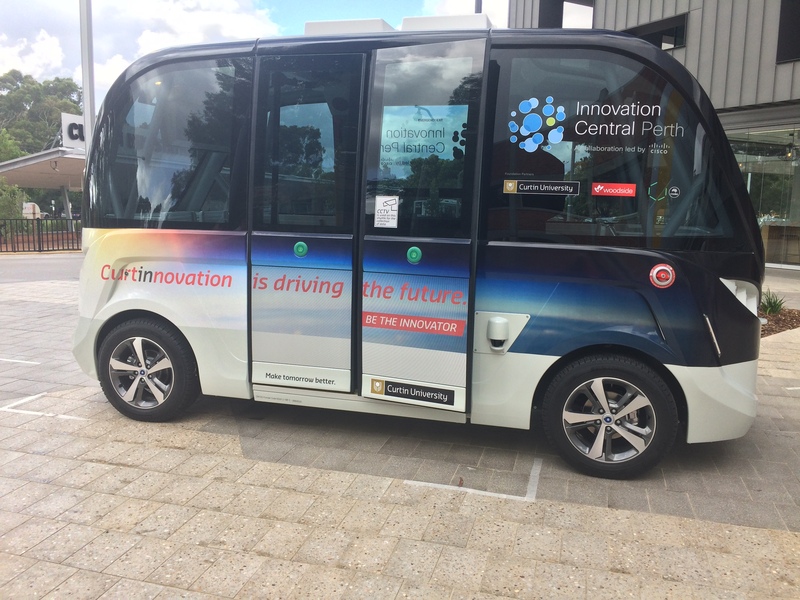 Porter Consulting Engineers congratulates Curtin on being the first Australian university to trial a commercial driverless bus in Western Australia.